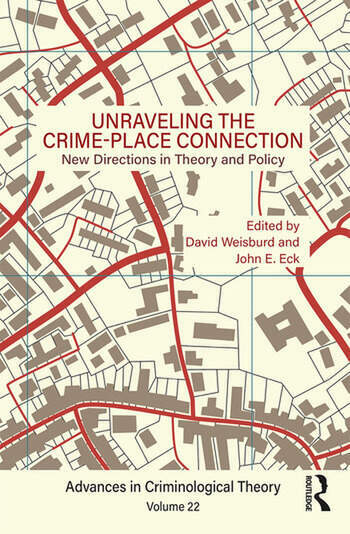 Unraveling the Crime-Place Connection examines in a new light how places enhance our understanding of crime and its control. While there has been much work in this area focused on policy, few have examined the underlying theories that inform this work. 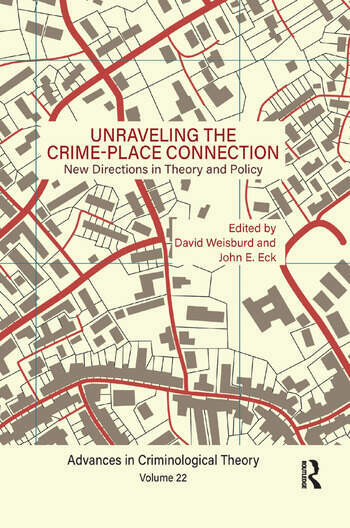 Theory has played a secondary role in the "criminology of place," and this volume brings it to the forefront of scholarly concerns. Each part and its chapters illuminate cutting-edge ideas in the etiology and control of crime at place, beginning with an introductory Part I. Crime is often concentrated in very small geographies, and Part II emphasizes the importance of capturing the dynamic nature of places in order to understand crime clustering. Part III offers integrative theories on the varying contextual arrangements of places and links theories of places to other theories of individuals, neighborhoods, and other social contexts. In Part IV, theorists ask how the actions of place owners facilitate or control crime and what policies governments can institute to regulate place management. This volume will be of interest to criminologists worldwide and useful for graduate-level or advanced undergraduate courses on environmental criminology or crime prevention. David Weisburd is Distinguished Professor of Criminology, Law and Society at George Mason University and Walter E. Meyer Professor of Law and Criminal Justice at the Hebrew University of Jerusalem. He is also Executive Director of the Center for Evidence Based Crime Policy. Professor Weisburd is an elected Fellow of the American Society of Criminology and of the Academy of Experimental Criminology. He is a member of the Science Advisory Board of the Office of Justice Programs (USA), the Steering Committee of the Campbell Crime and Justice Group, and the Scientific Commission of the International Society of Criminology. He is also a National Associate of the National Academy of Sciences (USA) and Chair of its Committee on Proactive Policing. Professor Weisburd is author or editor of more than 25 books and more than 175 scientific articles that cover a wide range of criminal justice research topics. Professor Weisburd was the Founding Editor of the Journal of Experimental Criminology and is now the General Editor of the Journal of Quantitative Criminology. He has received many international prizes for his groundbreaking research on crime hot spots and policing, including the Stockholm Prize in Criminology (2010), the Klachky Family Prize for Advances on the Frontiers of Science (2011), the Robert Boruch Award for Contributions to Research that Informs Public Policy (2014), and the Sutherland Award from the ASC for "outstanding contributions to the field of criminology" (2014). In 2015 he received the Israel Prize, generally regarded as the State of Israel's highest honor. He received the Vollmer Award from the American Society of Criminology for his contributions to the science of crime prevention in 2017. John E. Eck is a professor at the School of Criminal Justice of the University of Cincinnati. His research has focused on police effectiveness and crime prevention, and the theories that can guide effective police and public actions to reduce crime. Central to Dr. Eck’s enquiries are how crime patterns evolve and the role of owners in facilitating prevention at their places. He has been a leader in the use of computer simulation to understand how multiple agent interactions give rise to enduring hot spots of crime. He developed the concepts of place manager and place management to explain why a few locations have far more crime than others. Dr. Eck has conducted systematic reviews of what works to control crime at places. He is the coeditor of two books, Crime and Place (with David Weisburd), and Artificial Crime Analysis Systems: Using Computer Simulation and Geographic Information Systems (with Lin Liu).